Knobs and handles and pulls, oh my! Whether you're looking to spruce up a dresser that needs an update or selecting hardware for a new build or renovation, shopping for knobs, pulls, and handles can be overwhelming. There are so many options, and it's easy to feel paralyzed by the choices, or frustrated by a mediocre selection. 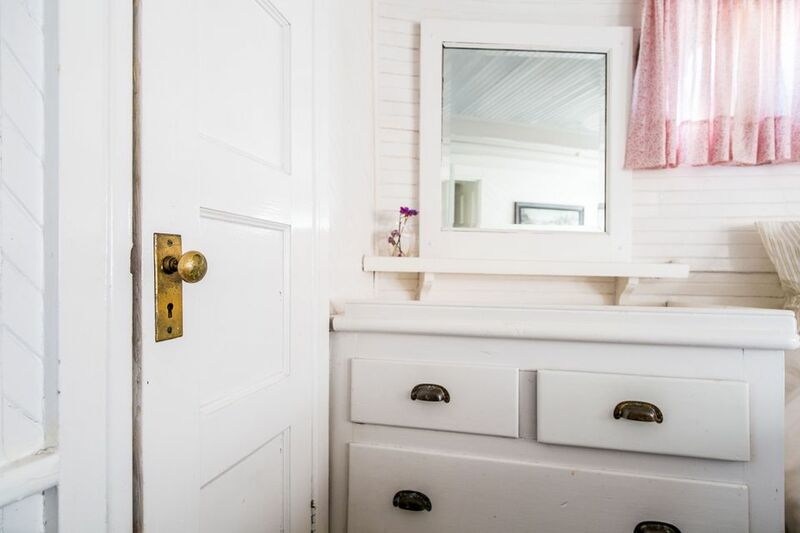 The good news is, no matter what your budget might be, there are actually a bunch of reliable sources where you can find cool, interesting, or traditional cabinet hardware. From names you know like CB2 and Anthropologie to ultra-specific retailers like My Knobs and Cabinet Parts, these are the best places to buy cabinet hardware online. 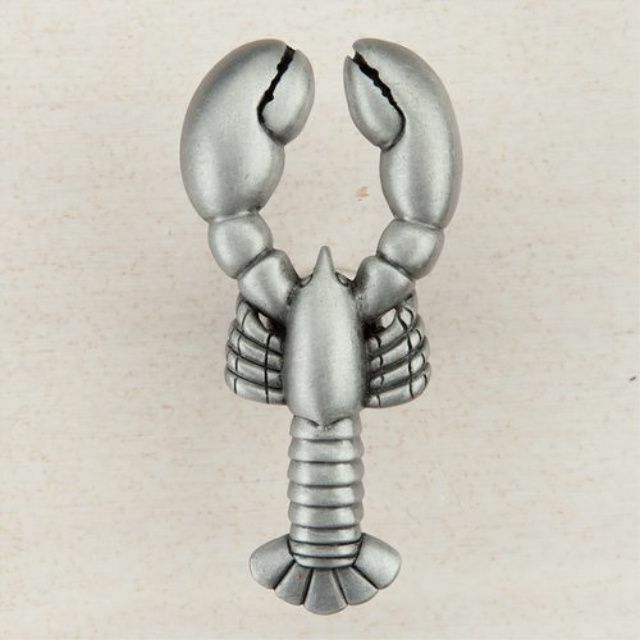 From cute novelty knobs like this nautical lobster to contemporary and classic designs, you'll find a little bit—scratch that, a lot—of everything on the Cabinet Parts website. They have tons of options at very fair prices in a wide range of materials and styles. Schoolhouse Electric is one of our favorite home decor resources—their modern fixtures and hardware are perfect for anyone looking to add a sleek, minimalist finish to their home improvement projects. You might be surprised to know that Home Depot's selection of cabinet hardware goes beyond just the basics! We found these really fun and affordable wood-and-glass knobs for just $4 each that would add a serious chic-factor to any dresser, cabinet, or kitchen. If you can imagine it, it's probably for sale on Etsy. A quick search for "drawer pulls" or "cabinet hardware" brings up tons and tons of whimsical and stylish options, including these unique agate stone knobs. You'll find pieces that resemble those found at big-name brands like CB2 and Pottery Barn as well, often for lower prices. Offering a small but quirky and colorful collection, it's always worth checking out the hardware options from Anthropologie. If you're looking to add a whimsical or one-of-a-kind touch to a piece you already own, swapping out the standard knobs or pulls for one of Anthropologie's pretty options (you could mix-and-match, too!) will give your furniture a whole new feel. We love the deep variety of cabinet hardware available from Rejuvenation, especially these matte black pulls and knobs. This is such a fun concept. Superfront is basically a professional source for all your Ikea hacks! Their hardware is designed specifically to help you spruce up your affordable furniture finds from Ikea. But don't worry—it can be used with other brands as well, just be sure about the measurements and sizing before you buy. For those with a bigger budget, there's plenty to love from Restoration Hardware's elegant collection of cabinet hardware. Brass, silver, and glass, all in both shiny and matte finishes, can add a gorgeous, vintage-inspired look to your kitchen cabinets, closet doors, and more. With more than 450 pages of cabinet knobs, this site has a lot of options for anyone looking to renovate or redecorate on a budget. We found tons of stylish glass or brass options for less than $7 each. For those who want truly unique options for their cabinet hardware or are willing to create an eclectic look with a mix-and-match approach, Liz's Antique Hardware has some really cool pieces. A variety of them are vintage finds that start at about $10 each, while others are from contemporary collections and run between $12 and $70 each. The first thing you should know about Simply Knobs and Pulls is that their website has 240 pages of knobs. So, it's best to go in with at least *some* idea of what you're looking for—whether that's price, style, or material. Otherwise you could spend hours and hours browsing their affordable options. We love just about everything at CB2—and their selection of modern, gorgeous cabinet hardware is no exception. From matte brass flamingos and beetles to glass pulls and more, you'll find tons of options that will suit just about any home decor aesthetic. You'll have a good time no matter what when you're browsing the selection of amazing antique hardware from Olde Good Things. We love this classic brass lion head drawer pull—but you'll also find relics from the Waldorf Astoria Hotel and other notable locations available for you to own! Great prices and a large selection means you can definitely find a great deal on a bunch of knobs or pulls for your home improvement projects at Overstock.